National Security Screens offers two convenient ways to allow the homeowner to remove the screens. If your customer wants to remove their screens for cleaning please choose from the two plug types below on your work order form. Amp plugs are Gold Plated Pin and Socket pull-a-part sets locked into a white plastic housing. Typically used for double and single hung window installation, these plugs are available with either white or black flat wire and include a mounting plate. House-side Stock lengths include 6”, 36” and 72”. Custom lengths are also available for both screen and house-side plugs. 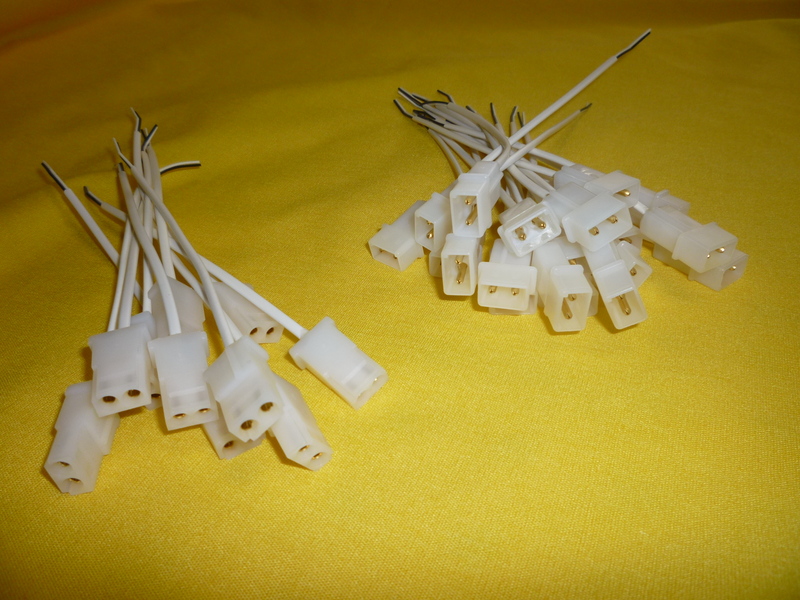 Pin Plugs are gold plated Pin and Socket pull-a-part plugs in shrink wrap. Typically used for concealed leads and wireless installation, these plugs are available with either white or black flat wire. House-side Stock lengths include 6”, 36” and 72”. 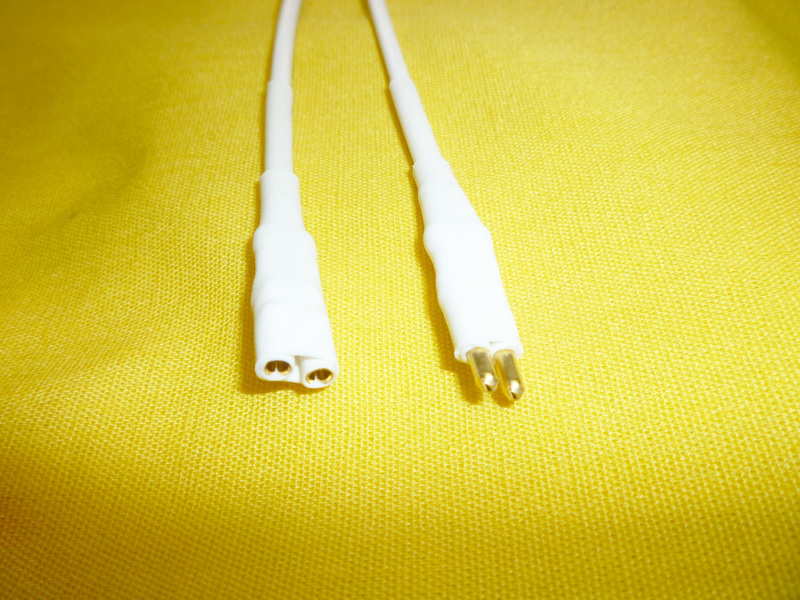 Custom lengths are also available for both screen and house-side plugs. 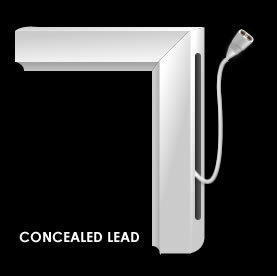 Although a concealed lead can be used for most screen installations, it is highly recommended for casement windows. A concealed lead is a 1/4” x 3” groove cut into the edge of the screen frame and a pin plug is pulled through the slot, once plugged into its mate the plug and wiring are tucked into the hollow screen frame for a seamless installation.